That game Sunday still hurts. I know I should get past it and be ready for Sunday vs. the Rams, but it really makes me nervous. That is our house and we let the Cardinals come in and slap us around. Don’t get me wrong, the Cards are playing some good ball and that defense is damn good. However, the complete ineptitude on offense is troubling. As good as the Giants game was, let’s face it, there should have been more points. If we combine the 3rd down efficiency for the last two games, the Hawks are a measly 5 for 26. Let that sink in. It is inexcusable and we won’t be going far if that continues. I was sitting in my seat watching 3 and out after 3 and out in total disbelief. To top everything off, the defense puts up another solid performance with four picks. They were all over the place again saving the offense, but that can’t last forever. The lack of playmaking was ever evident after the Smith interception. We start at the 3 yard line and can’t seem to punch the ball in. On top of that, our kicker comes in and bonks a short field goal for no points. I can’t get on Hauschka because he has been one of the most solid kickers this year, but it just adds to the heartache (especially when he’s on your fantasy team). I hate that after the season we have had, we are in the position we are. We all know by now, we need a win this week at home. That locks up top seed and the division title. This is an opportunity we have had twice now and failed to lock it up. It’s put up or shut up now. I really think the loss at home is going to fire them up however. I can see he D especially come out with some real fire power on Sunday. If we lose however, there could be real problems. A loss at home and a 9ers win and we lose the division title and home field advantage. That would put us at the 5th seed in the NFC and send us on the road. A 9ers loss and we take the division. Now the 9ers have to go to Arizona and take them on. This could present a challenge. As we just saw, the Cards are good and they will be at home. They also have to win to have any shot at the playoffs. They are in one of those unfortunate spots in the NFL. They could potentially go 11-5 and miss the playoffs. I don’t really think the Rams are going to come in here and beat us. To lose two in a row at home with the stakes where they are would be a complete failure. The Hawks will bounce back get what they came for this year. I’m just not happy it has to be done in week 17. In the word of our man Russ… Go Hawks! On another note, Merry Christmas to all and thanks for being a part of NWsportsjunkies! 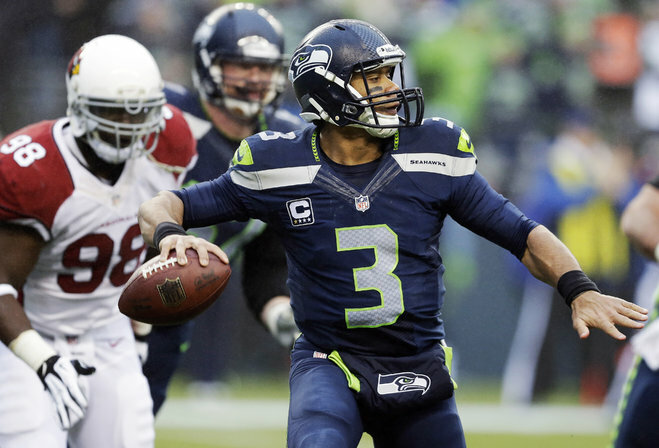 « Seahawks Beat Themselves, Cardinals Win.